Note: In the updated Manual of Indulgences this prayer is found on page 98, #28, part II (4th Edition). Image: The image is from the Wikipedia article on Purgatorio by Dante. 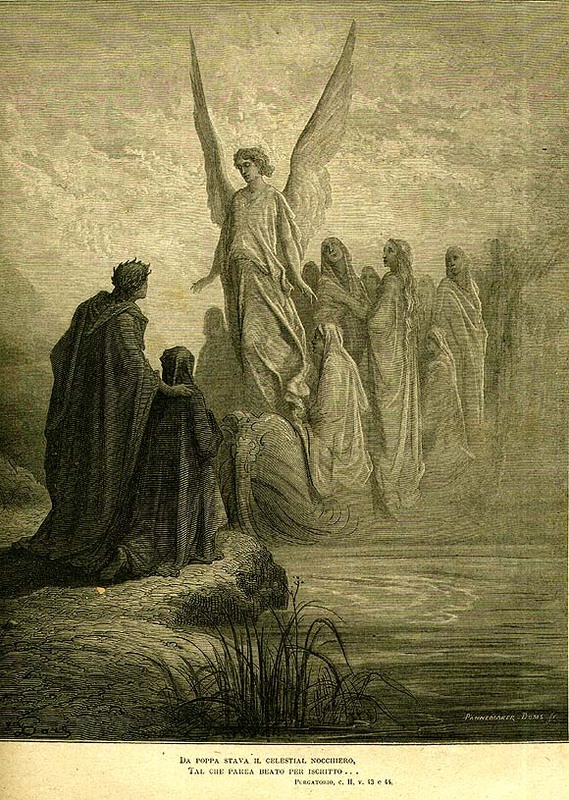 The caption states: “Purgatorio, Canto II: Christian souls arrive singing, escorted by an angel.” The drawing is by Gustave Dore, Public Domain, U.S.A.